L-R: Don Tomlinson, the presenter and founder of the Unsung Hero Awards; Katie Claydon, Business Administration Apprentice; and Chris Browne, ambassador for the Unsung Hero Awards and Alder Hey Children's Hospital. 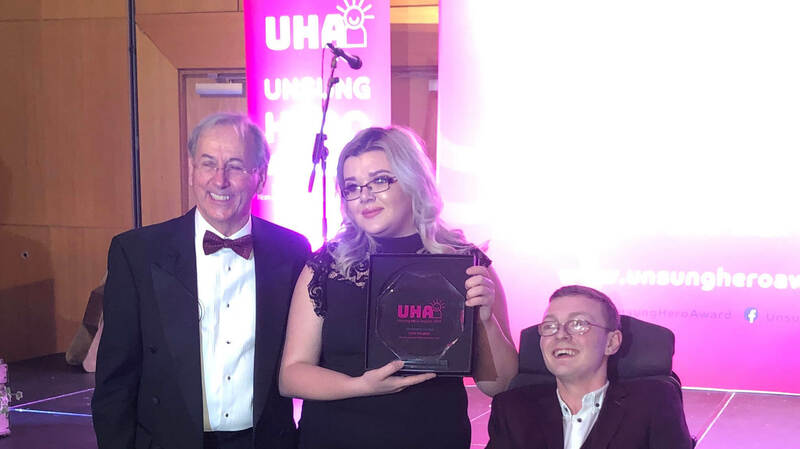 Barnsley College apprentice Katie Claydon, who is employed as a Communications Apprentice at Barnsley Hospital, is celebrating being named Apprentice of the Year in the 2019 Unsung Hero Awards. The Unsung Hero Awards, held on Friday 1 March at the Hilton Hotel, Manchester, are the only national awards for non-medical NHS staff and volunteers who go above and beyond the call of duty. The aim of the Unsung Hero Awards is to highlight the hard work that non-medical staff and volunteers of the NHS do on a daily basis. Katie, from Worsbrough Road, Birdwell, is studying a Level 3 Business Administration Apprenticeship with Barnsley College. The 20-year-old beat off tough competition from apprentices from all over the country and was nominated by her colleagues for being a ‘vital member of a small team – who always provides a fast, efficient response to the many requests received each day in a busy hospital’. Katie said: “I am still in absolute shock that I took home the Apprentice of the Year Award. I would like to say a massive thank you to all my colleagues, both past and present for their support over the last two years to get me to where I am now. 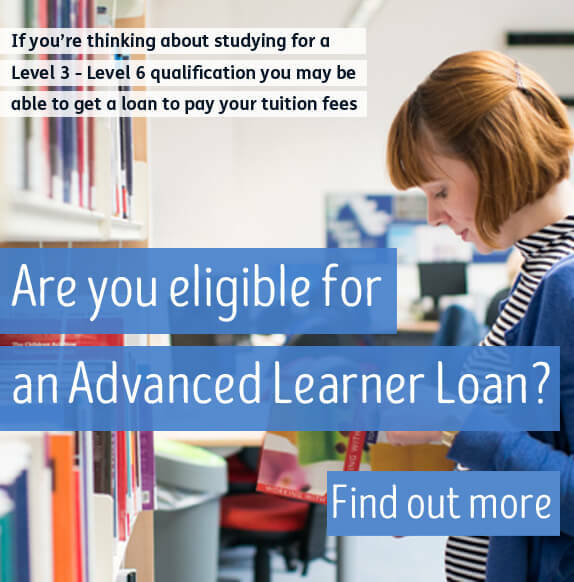 For more information on apprenticeships, visit the Apprenticeship department page, email info@barnsley.ac.uk or telephone 01226 216 123.